It is a Gram - and very mobile. Measuring 2-3 microns in length. In addition to possessing somatic antigens (Ag O) and flagellar (H Ag), used for serological identification, Salmonella typhi was also a capsular antigen (Ag V). By typing with bacteriophages, Salmonella typhi can be divided into more than 80 varieties stable and well defined. During the first week of illness, we can isolate Salmonella typhi in the blood of about 90% of patients and, at the end of the third week, in the blood of only 50% of patients. One can isolate the bacteria in the feces for the duration of the disease, but between the third and the fifth week that the microbiological diagnosis is the safest. 5 to 10% of patients continue to excrete the bacilli, two or three months after the onset of the disease, shedding 3% after one year: these are chronic carriers. We can also diagnose typhoid fever by specific agglutination of Salmonella typhi with the patient's serum (blood culture) is the Widal reaction discovered in 1896. 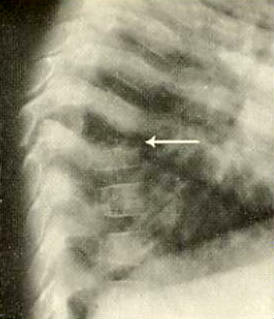 The seriodiagnostic Widal has changed qualitatively by FELIX (1935). Laboratory diagnosis of salmonellosis is requires the isolation of bacteria from the feces (stool). These bacteria must be similar to those found in the suspect food. We use selective or differential media such as MacConkey agar. An increase in antibody titer against the antigen O, in the first or second week of infection, is also a good diagnosis. 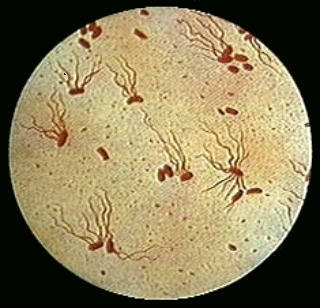 However, stool cultures may remain negative for several weeks. When blood cultures are done quickly, they reveal the presence of salmonella. The preparation of the stock suspension is usually carried out using buffered peptone water (BPW) in a ratio of 1 to 9 between product and diluent. Peptone salt solution, Ringer's solution or phosphate buffer solution can be used for dairy products. This is an incubation in an oven at 37 � C for 16 to 20 hours. This phase is to allow injured bacteria (stressed) to recover their stability. The medium is the most used tryptone-salt. The test is often 25 grams. Performed after transfer of a variable volume in the middle of pre-enrichment in selective media following incubation at 37 or 43 � C for 24-48 hours. Broth and Na tetrathionate brilliant green (middle of Muller-Kauffmann), brilliant green inhibit Gram + shells. Bouillon Na selenite (with or without added cystine and novobiocin). Rappaport-Vassiliadis broth (RV10) and magnesium chloride or Malachite Green. Takes place on solid selective media, selective media from liquid enrichment. The incubation of selective media is at 37 � C for 24 to 48 hours. These environments contain mainly selective agents (bile salts and dyes, eg.) Sugars including lactose, salts to reveal the production of H2S and pH indicators. Bile salts also inhibit accompanying flora and promote salmonella. The main media used are: the brilliant green agar, Hektoen agar, DCLS agar, XLD agar. Can also be used advantageously, SS agar, McConkey agar, agar Bismuth sulfite. Typical colonies (H2S +) were transplanted at least 5 times, and there shall be studying the basic biochemistry. Phage type (or phagovars) is a presumptive test is performed using specific bacteriophage (phage 01) (6-8 hour response).